Mariel Zagunis says a truck gate fractured her big toe. Beaverton-raised Olympic fencer Mariel Zagunis filed a lawsuit Oct. 5 alleging a Portland-area junk removal company put her fencing career in jeopardy. The lawsuit, filed in Multnomah County Circuit Court, alleges Zagunis hired Cascadia Junk Removal, a local franchise of 1-800-Got-Junk?, to remove some items from her home. While movers were loading items, Zagunis alleges the lift gate on their truck came crashing down on her foot, fracturing her big toe. As a result of her injury, Zagunis says she's lost earnings and experienced a drop in her world rankings. Prior to the injury, she was the world's No. 1 women's saber fencer. The lawsuit was first reported Tuesday by The Oregonian. Fencers rely heavily on footwork. Just watching a clip of Zagunis in action at the 2008 Olympics, you can see that—as she bounds forward from her right foot, retreats momentarily only to strike again, pushing off of the ball of her foot. The fracture to Zagunis' right toe is important in part because she's left-handed. 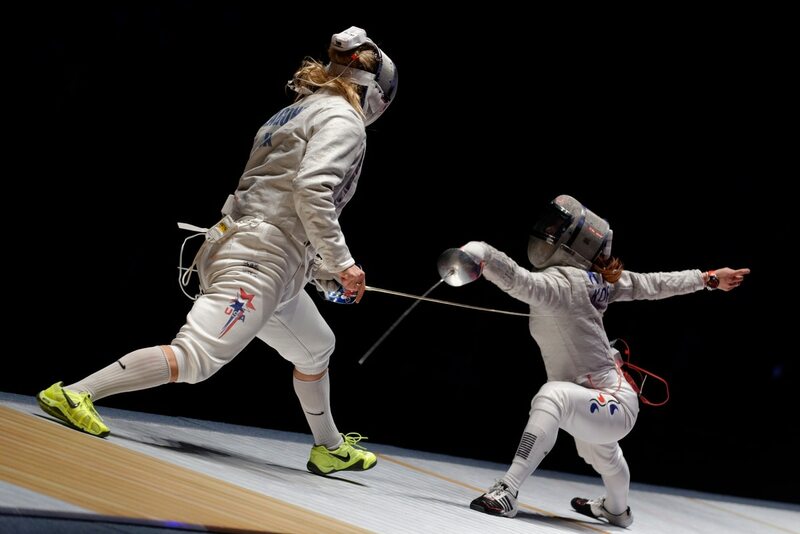 As a fencer, that means her right foot is always behind her; it's the one she uses to carry her weight on attack, or keep her balance on defense. Zagunis' attorney did not respond to requests for comment. A representative of 1-800-Got-Junk's parent company, O2E Brands, declined comment. "We were made aware of the lawsuit today. As additional information is learned, we may be able to provide further comments at an appropriate time," the representative said.